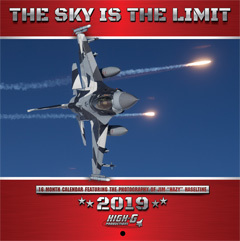 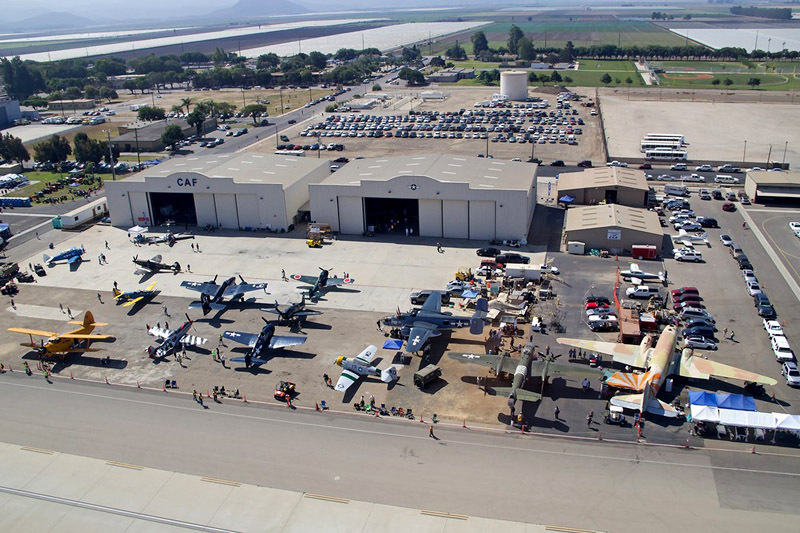 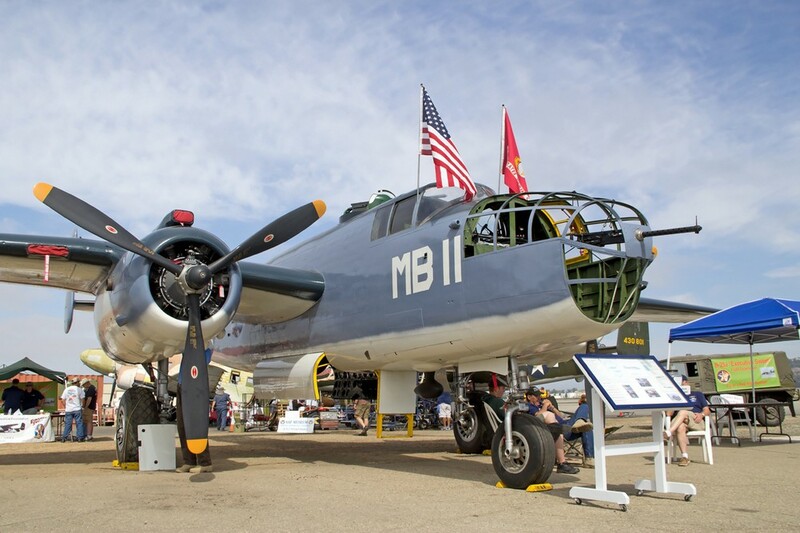 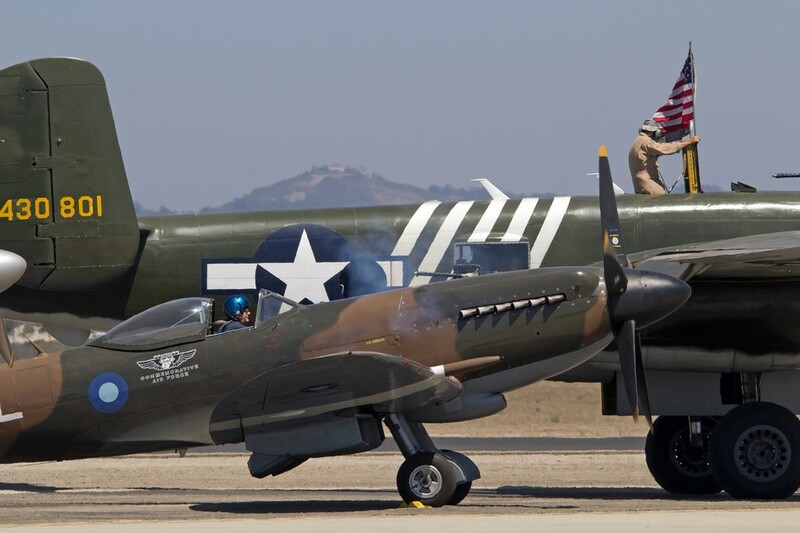 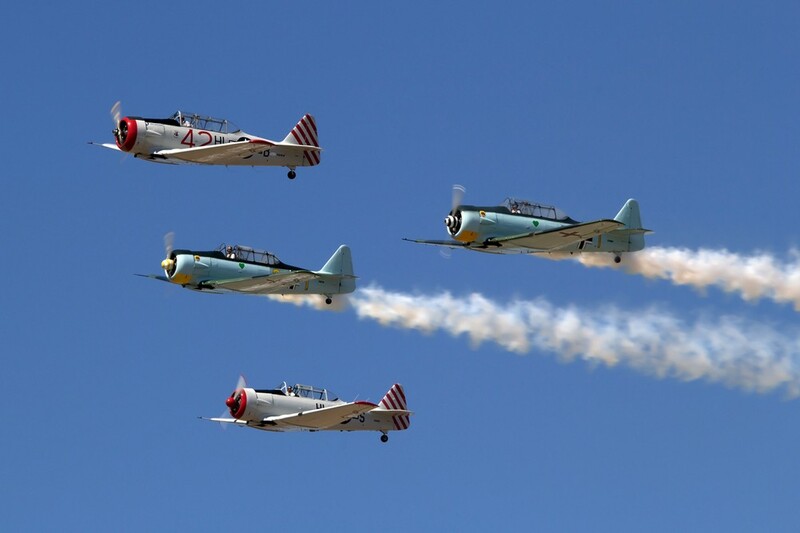 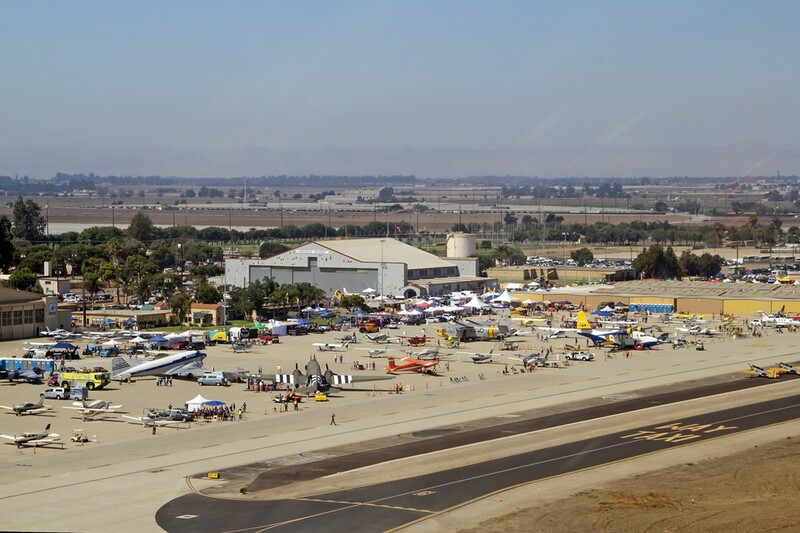 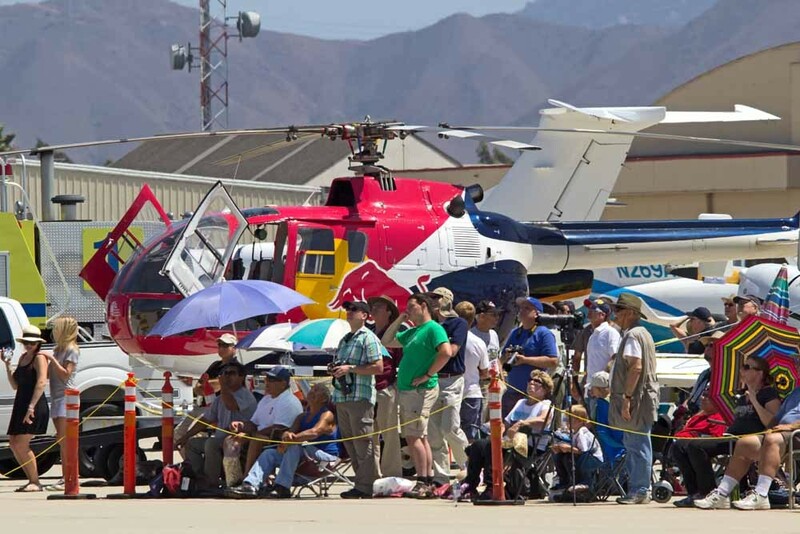 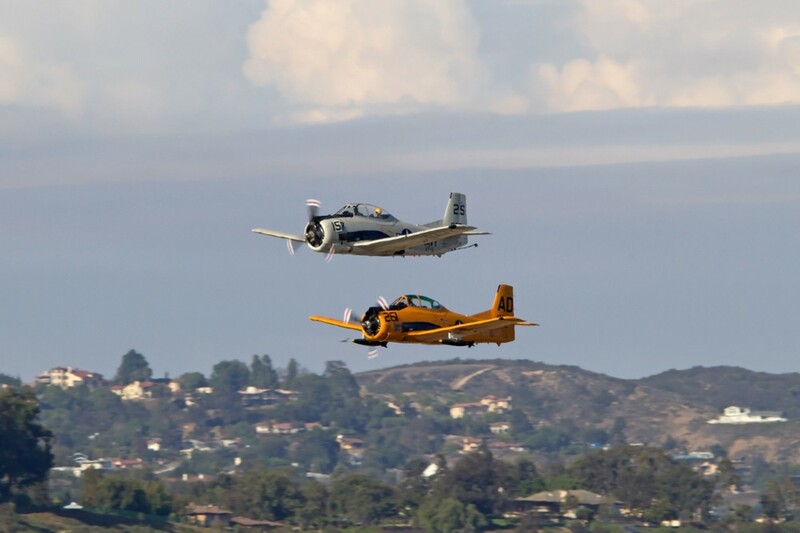 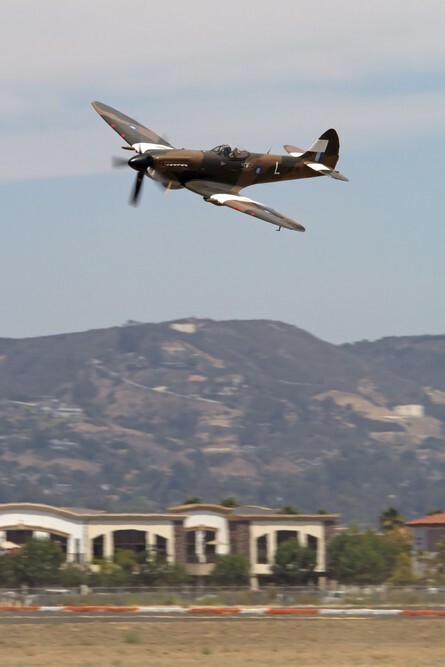 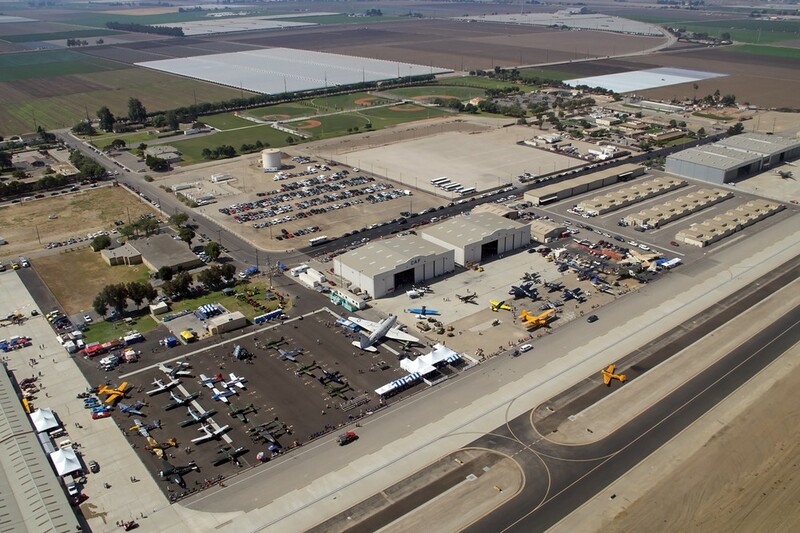 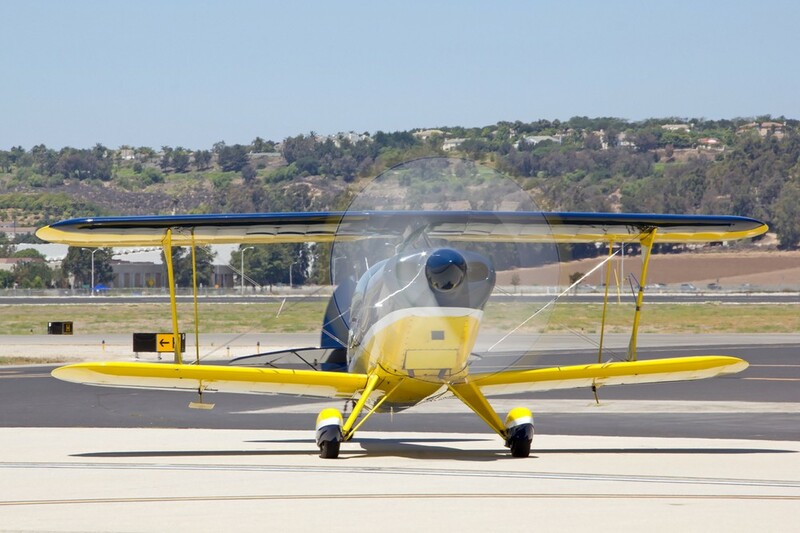 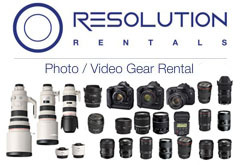 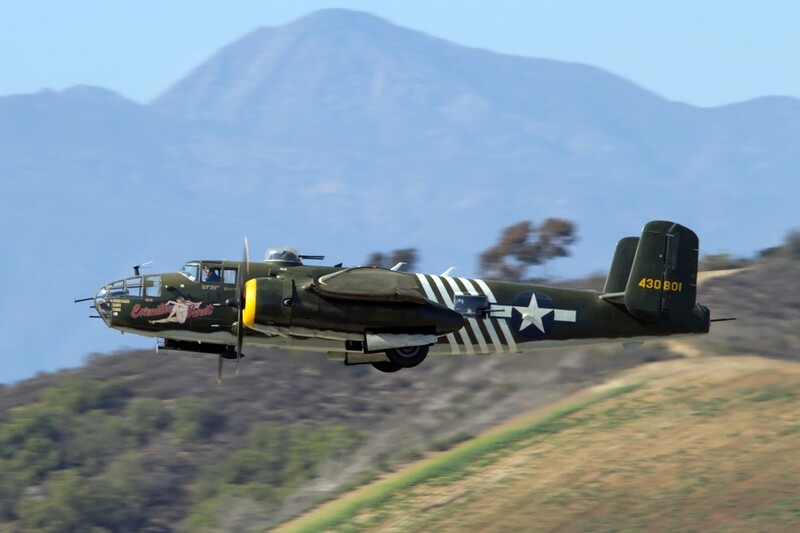 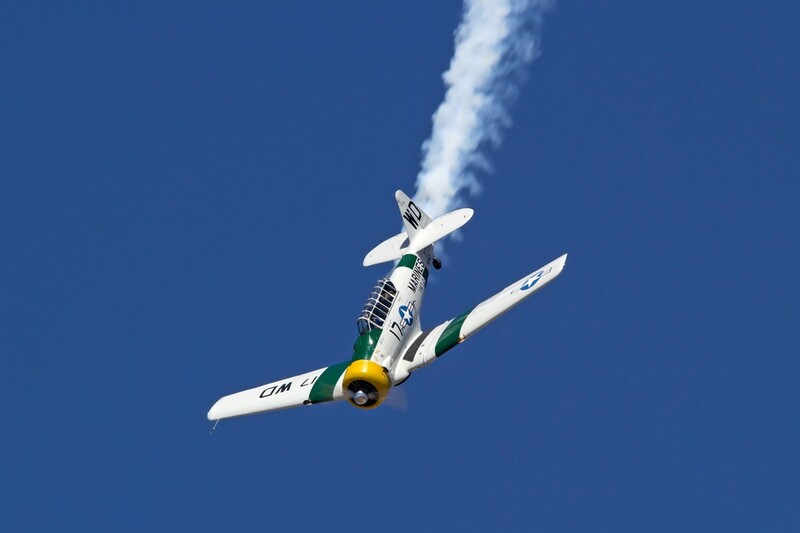 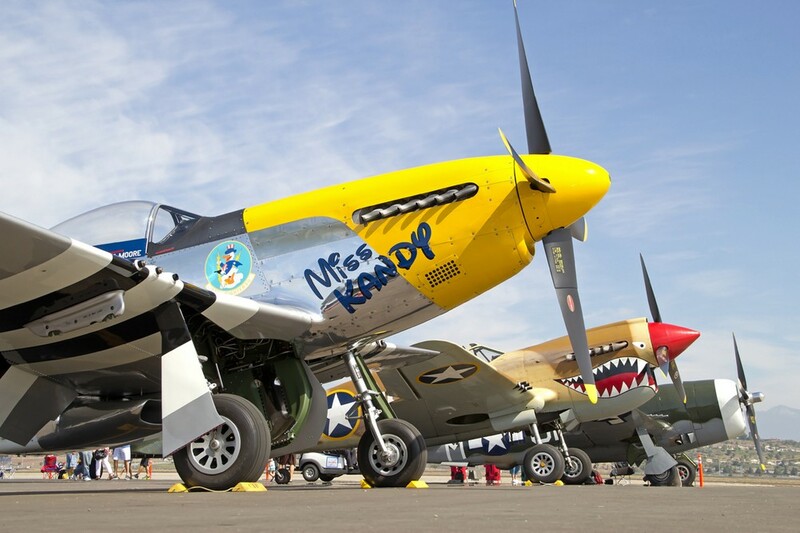 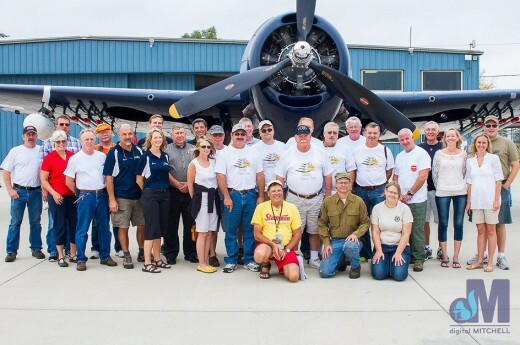 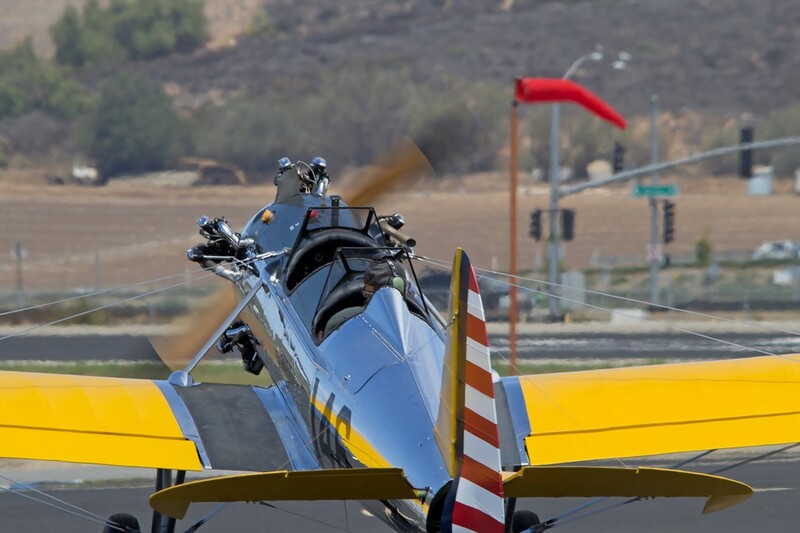 On August 17th and 18th, the Southern California Wing of the Commemorative Air Force held their annual air show at their Headquarters in Camarillo, California. 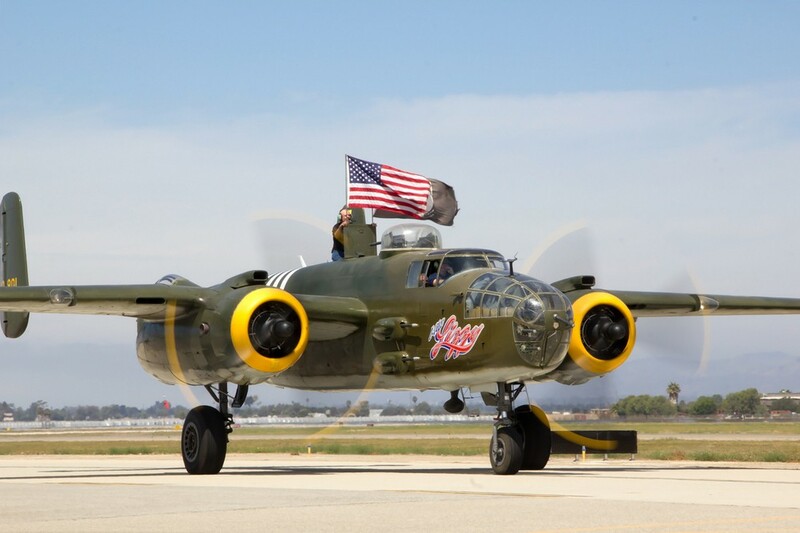 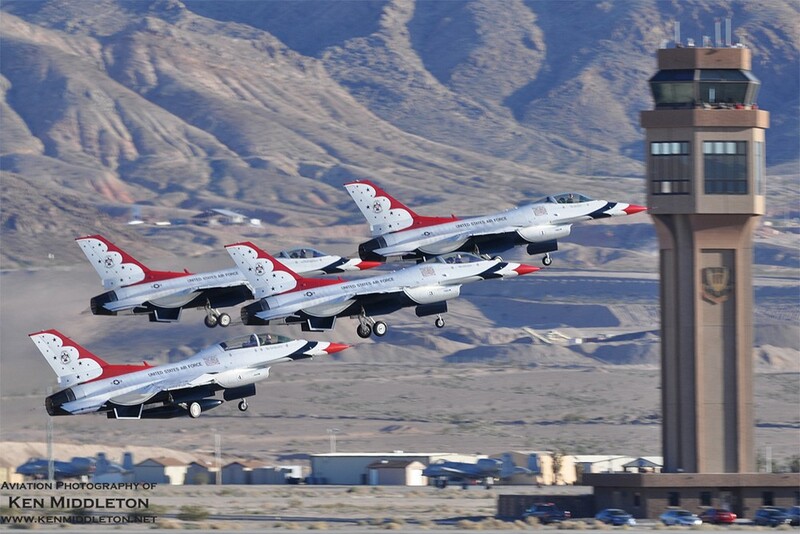 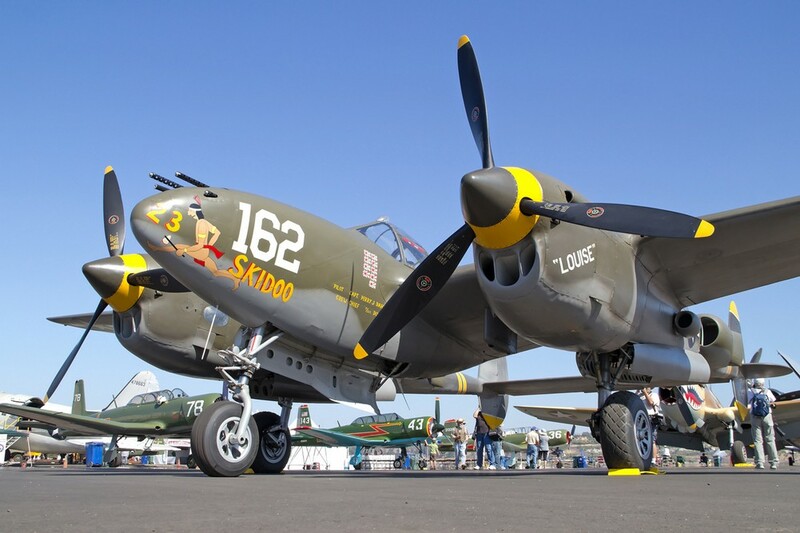 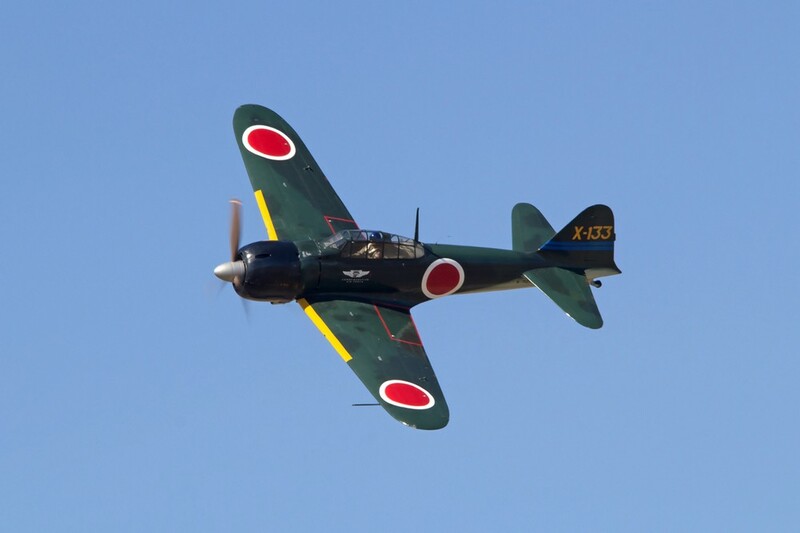 With the lack of military air shows due to the on going fiscal budget issues, these events, held by our beloved warbird community, have satisfied our hunger for our love of aviation. 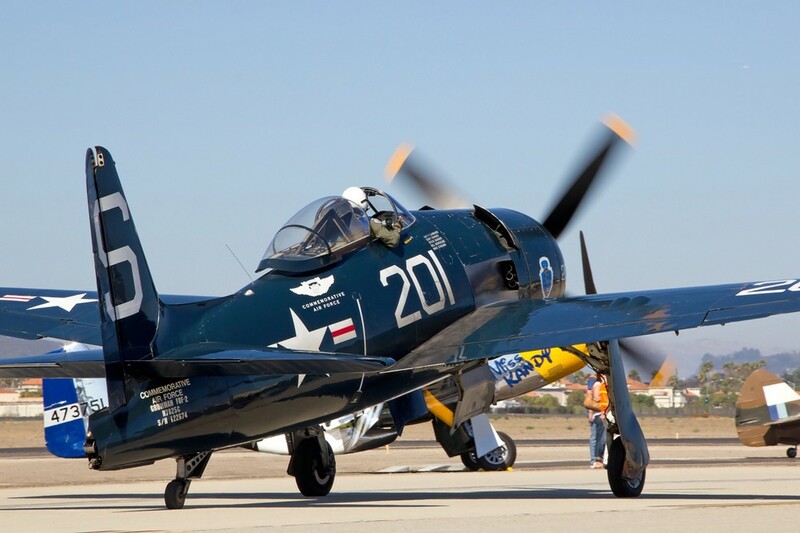 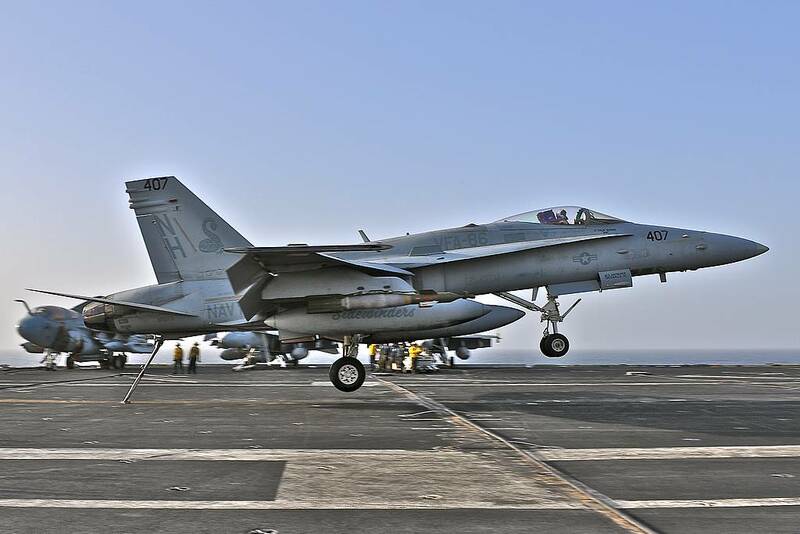 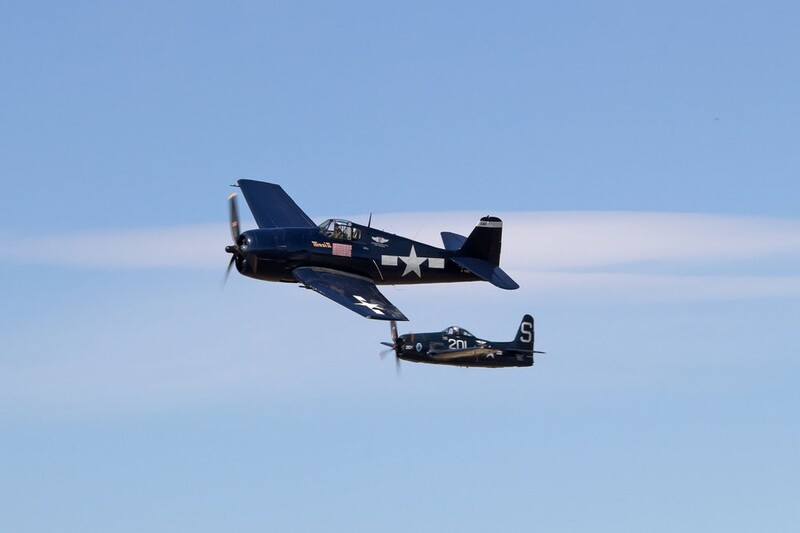 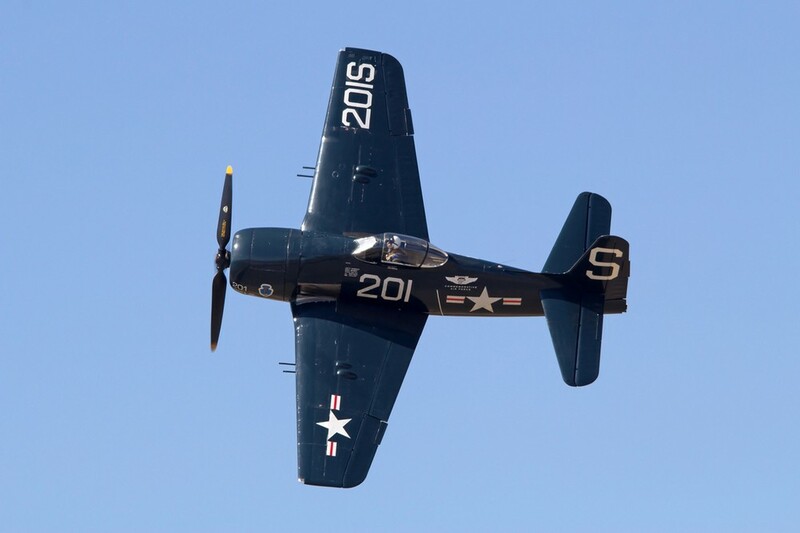 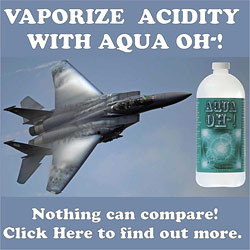 While I myself love to see our modern military hardware put on demonstrations of the sheer power and maneuverability of our armed forces’ aviation, nothing can, or will, ever replace the sound of classic warbirds firing up on the ramp. 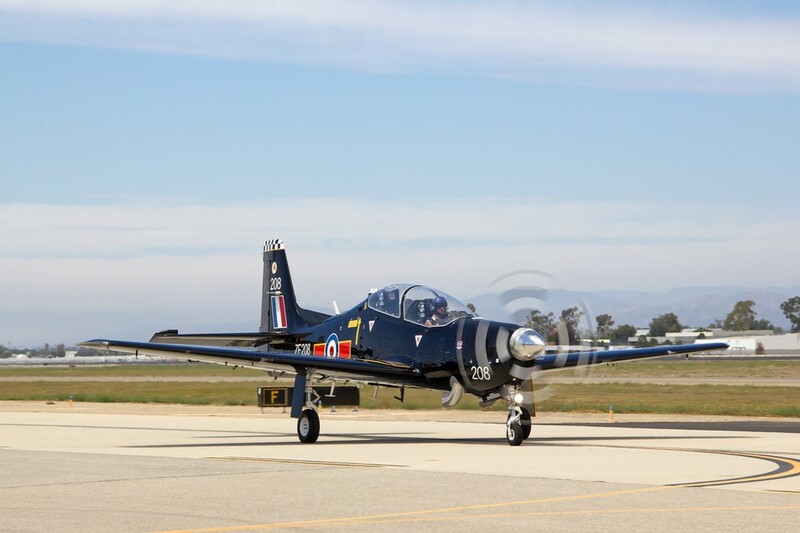 One of the great things about the Camarillo air show is that you get a chance to see the aircraft up close in the morning hours, and then you get to see most of them in the air during the afternoon. 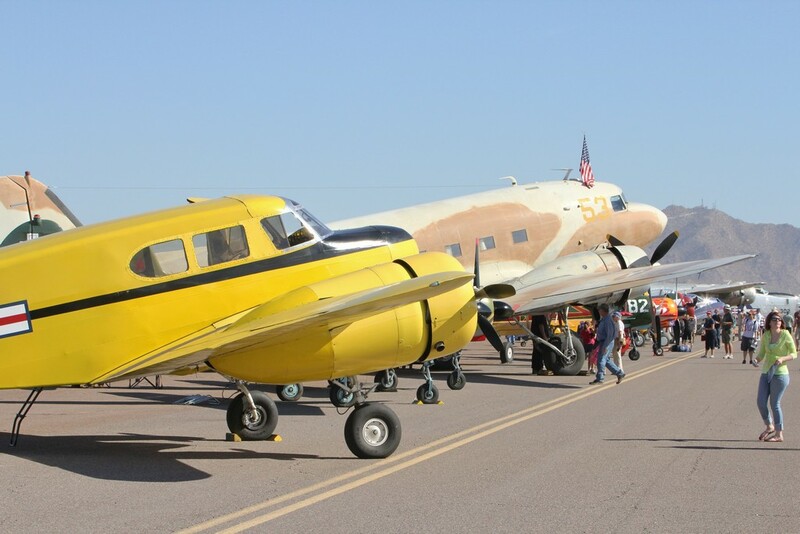 One of the aircraft I took special interest in this year was the Commemorative Air Force’s PBJ. 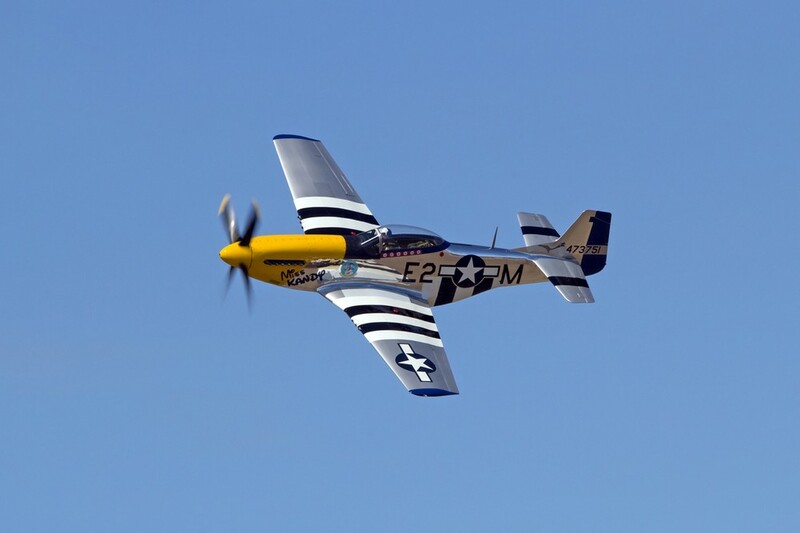 This beautiful two-tone Blue and White aircraft grabbed my attention as soon as I saw it. 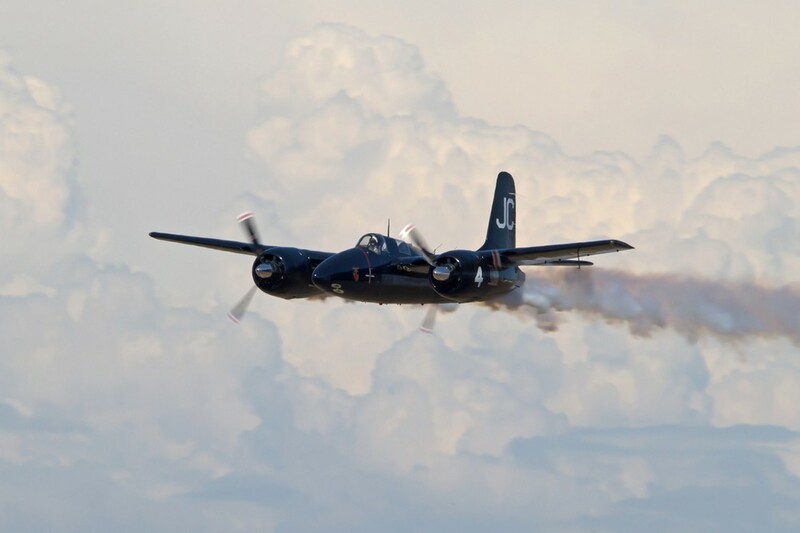 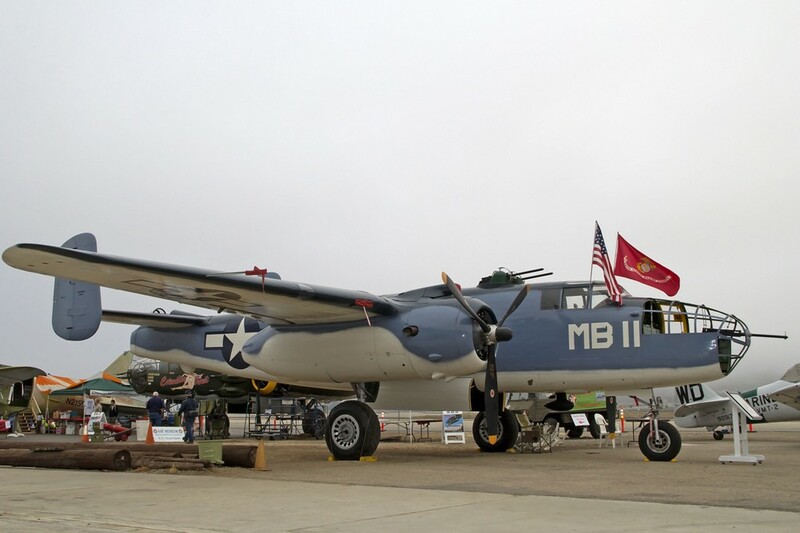 The PBJ-1 is the navalized equivalent of the twin engined B-25 Mitchell Bomber. 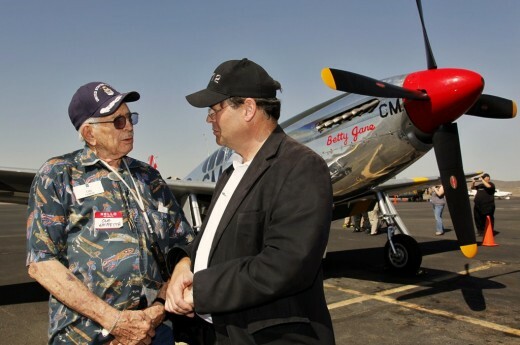 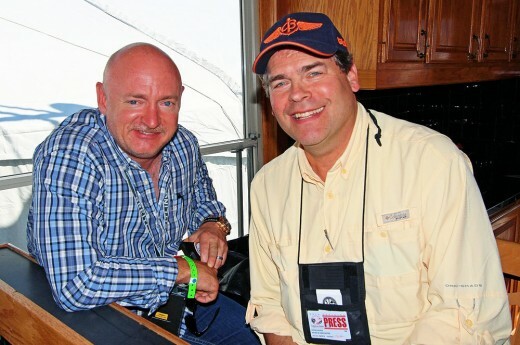 I spoke with Dan Newcomb, Jon Mullin, and several others who have participated in the restoration. 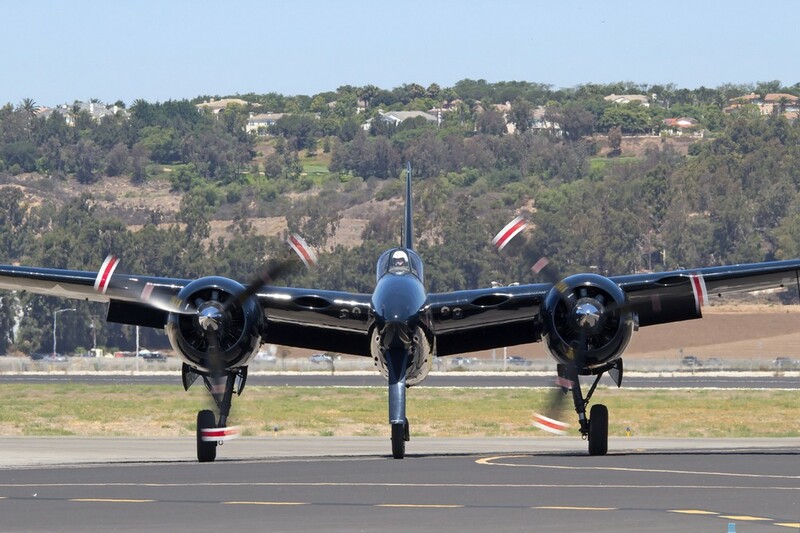 Dan joined the restoration team approximately ten and a half years ago, and we spoke about the work that has gone into this gorgeous bird. 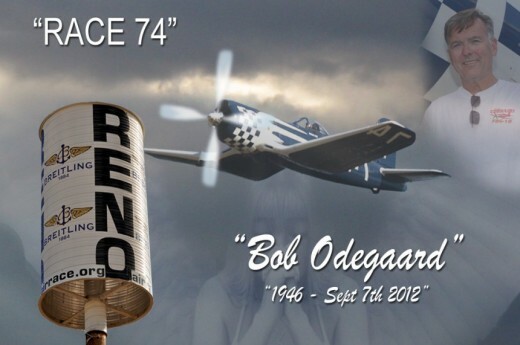 “I can’t believe we’re at this point. 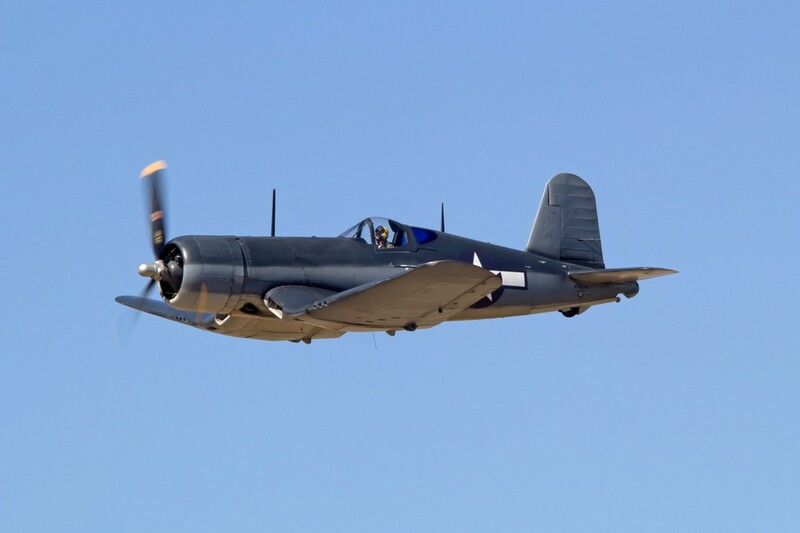 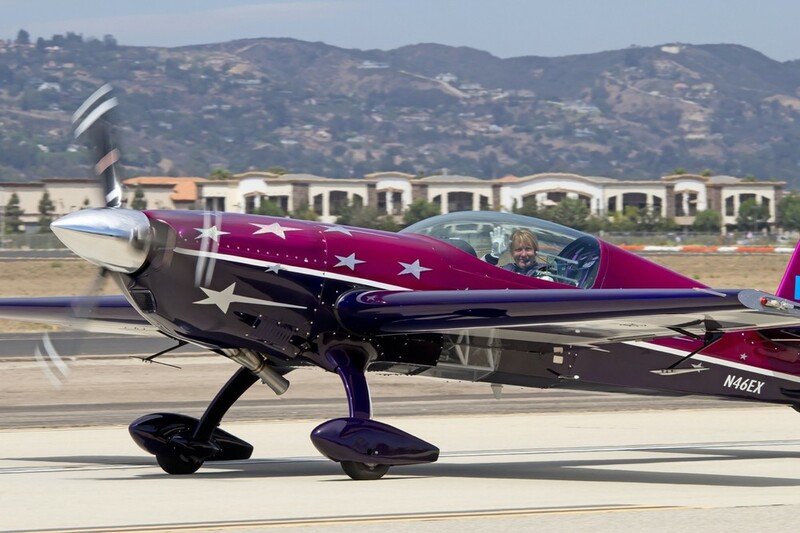 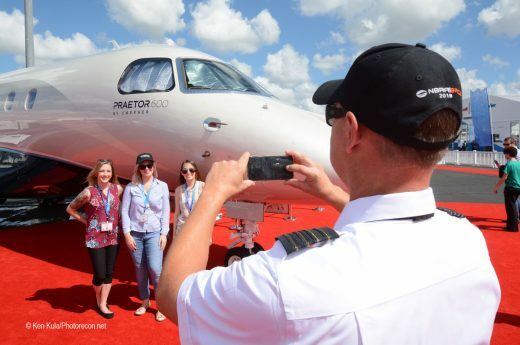 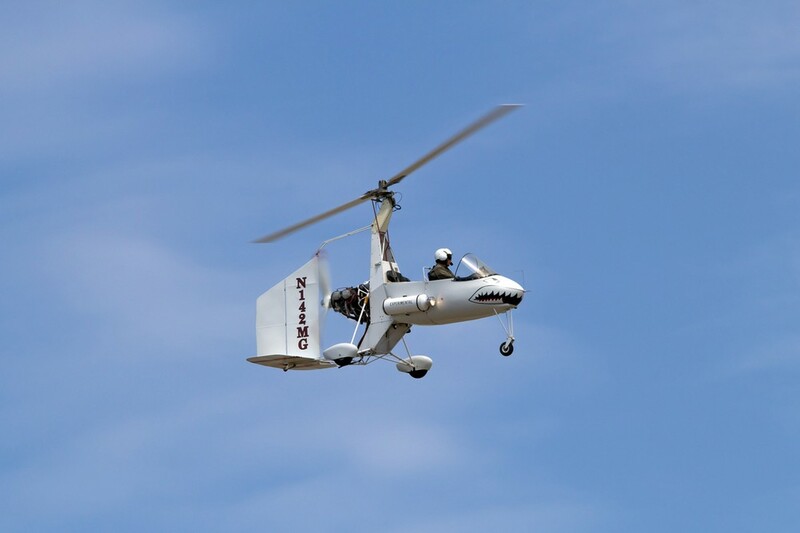 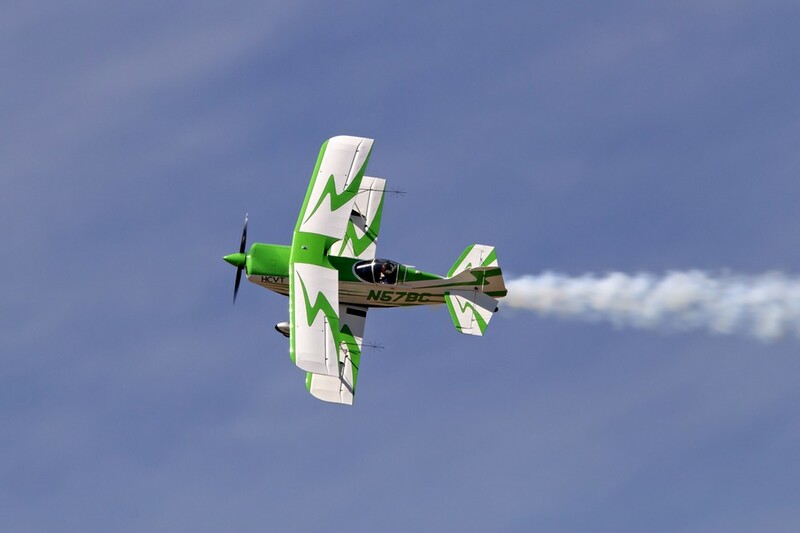 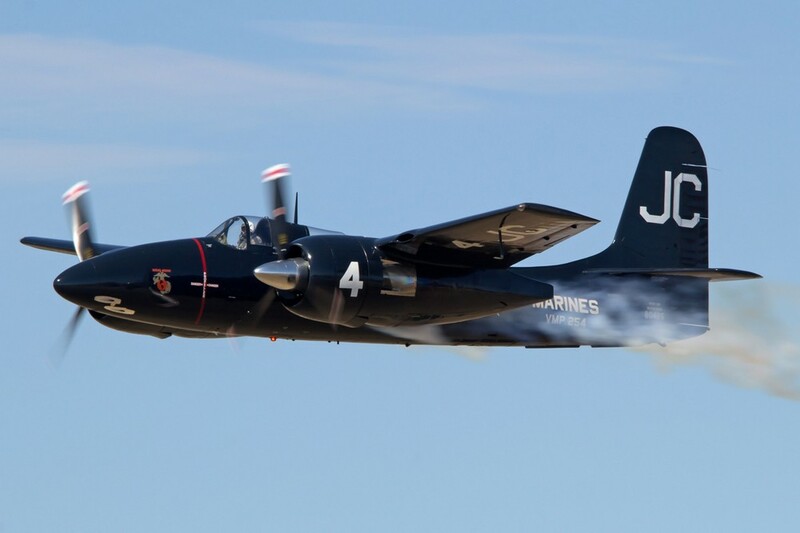 There is an excellent shot at the first flight before next year’s air show!” John Mullin added “It will be the only PBJ with a bureau number in existence.” I hope to be there for the first flight, which I’m sure will be emotional for those I spoke with. 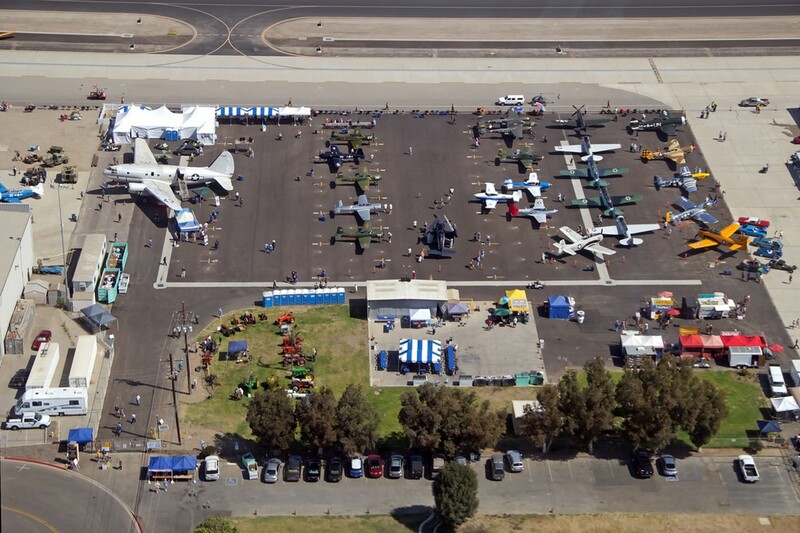 Solo performers included John Collver in his AT-6 ‘WARDOG’, Clay Lacy in his Pilatus Porter, the Ventura County Fire Department,(who demonstrated a water drop from one of their Bell helicopters), the Planes of Fame’s N9MB Flying Wing, and the Palm Springs Air Museum’s C-47 ‘What’s Up Doc’, which carried skydivers from Coastal Skydive California. 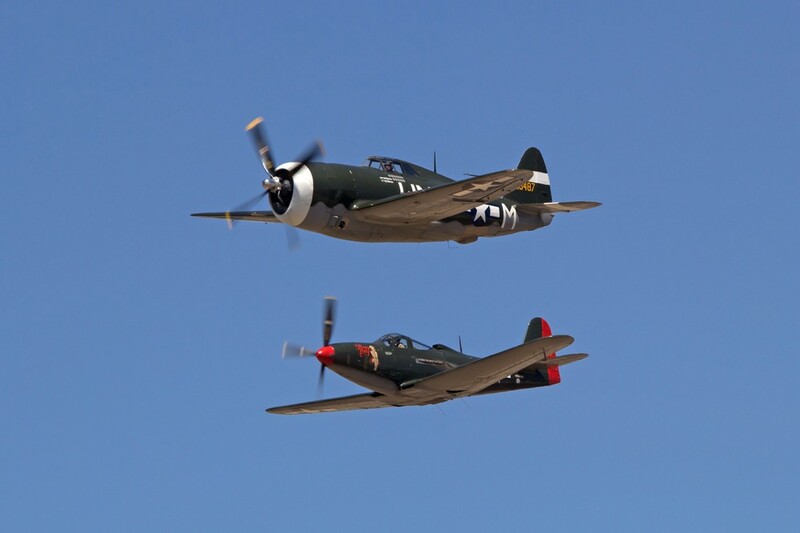 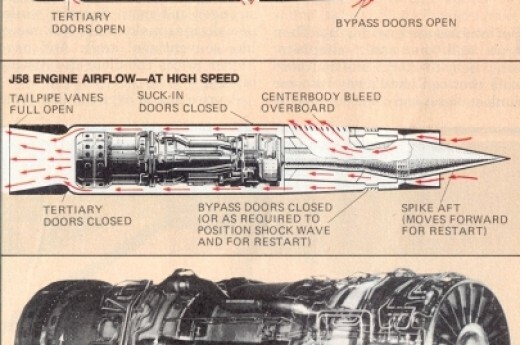 Also making high and low speed passes were a Tucano and Cessna Citation Mustang. 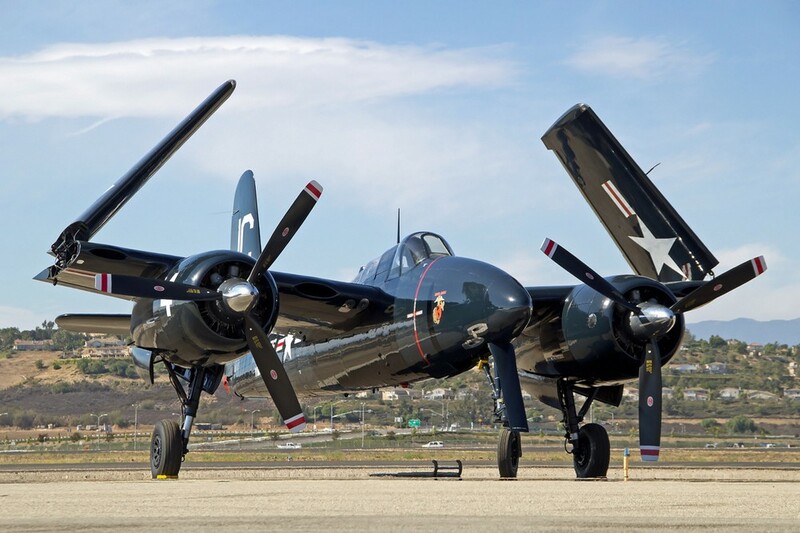 Formation passes were done each day by Van Nuys Airport’s Condor Squadron in their AT-6 Texans, a flight of four Navions, several trainers and kit planes, and the B-25 ‘Executive Sweet’ in formation with five CJ6 Nanchangs, before peeling off and showcasing the B-25 on solo runs. 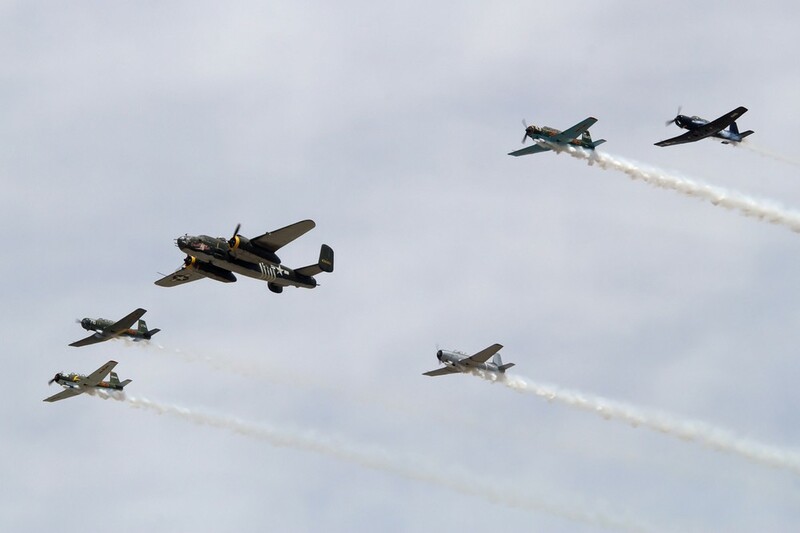 Several other warbirds made passes both solo and forming up including; an Albatross, an AN-2 Colt, an A6M Zero, a P-38 Lightning, a P-40 Warhawk, a P-47 Thunderbolt, 2 P-51 Mustangs, a P-63 King Cobra, a F4U Corsair, a F8F Bearcat, a F6F Hellcat, a F7F Tigercat, and a Spitfire. 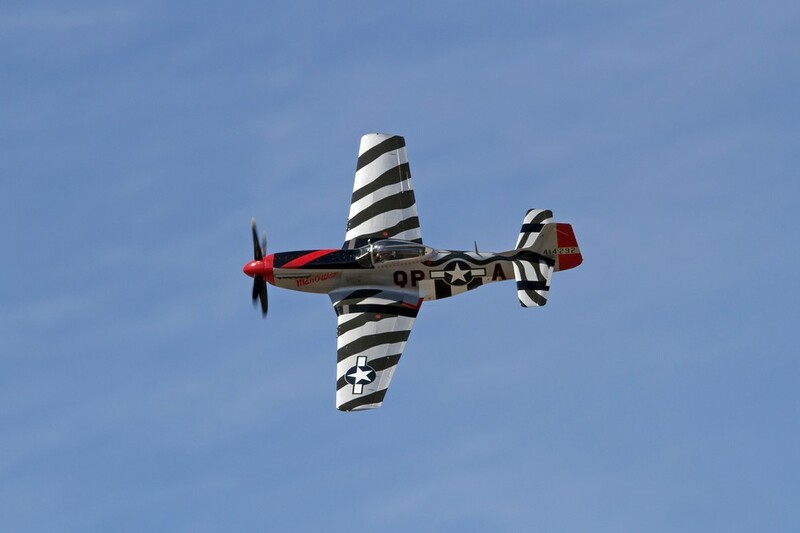 I always enjoy this show, and was not disappointed once again this year. 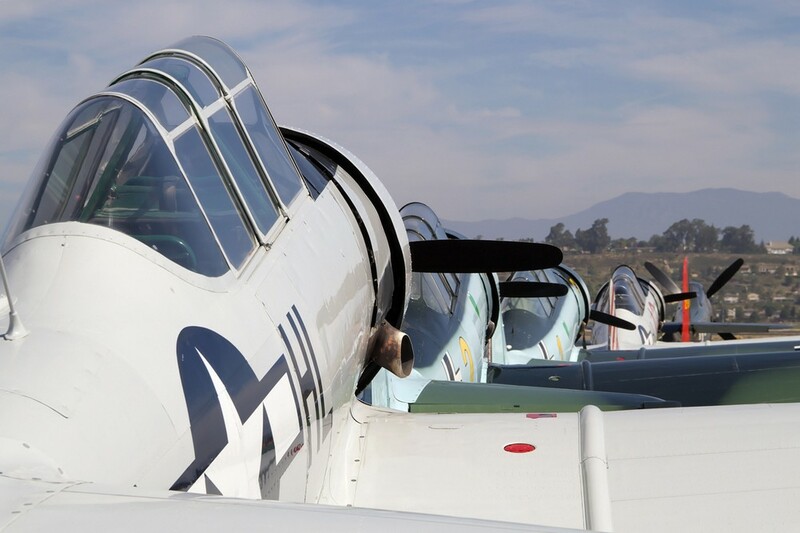 The weather is usually great, the sun is at your back, and the variety of aircraft both on the ground, and flying, is always outstanding. 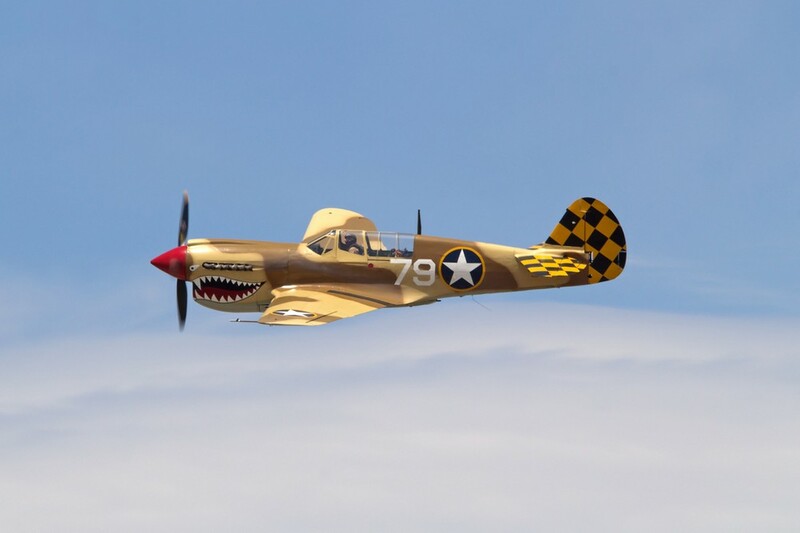 I will definitely be stopping by the museum whenever in town, and am looking forward to the next show.